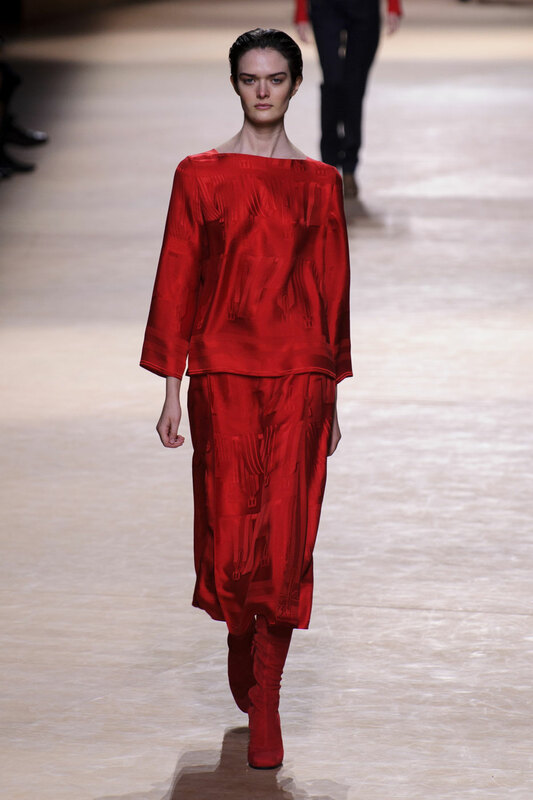 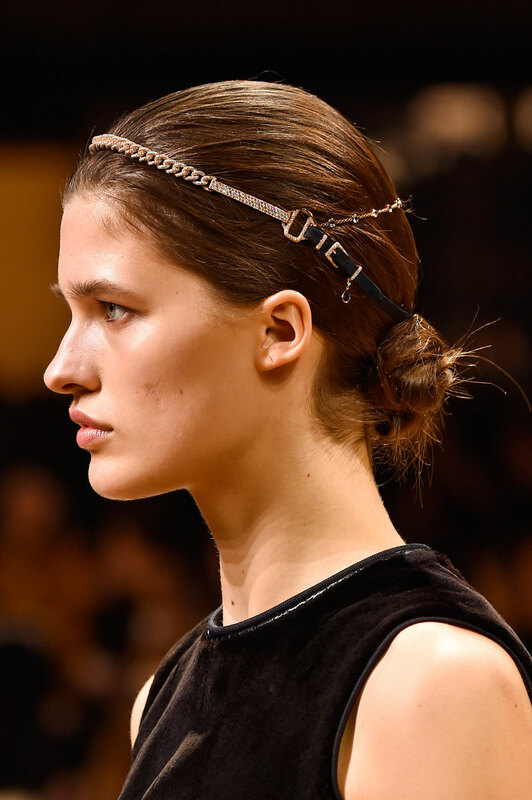 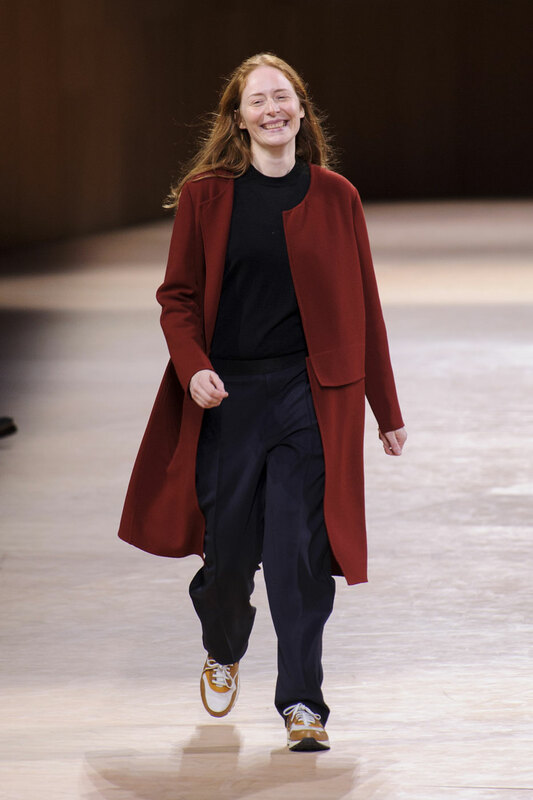 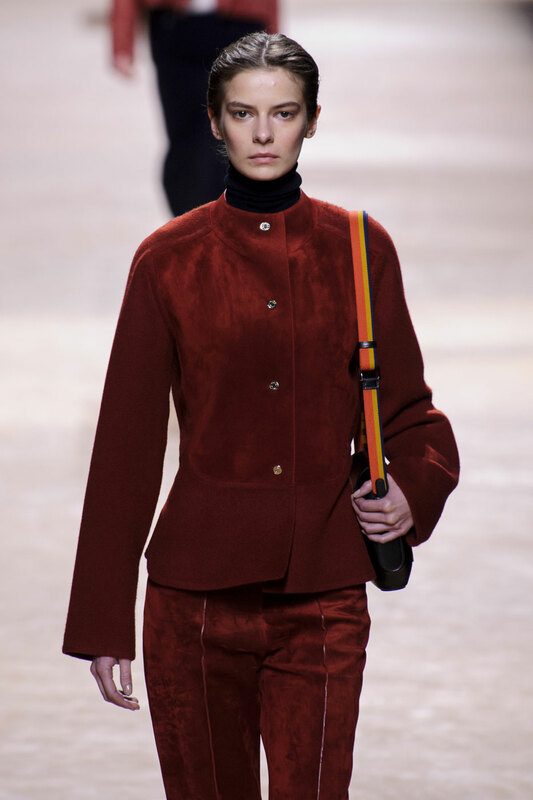 Hermès Women Autumn-Winter 2015 – It has been a week of new creative directors making their debuts, and the time had come for Nadège Vanhee-Cybulski to showcase her AW15 collection for Hermès and she didn’t disappoint. 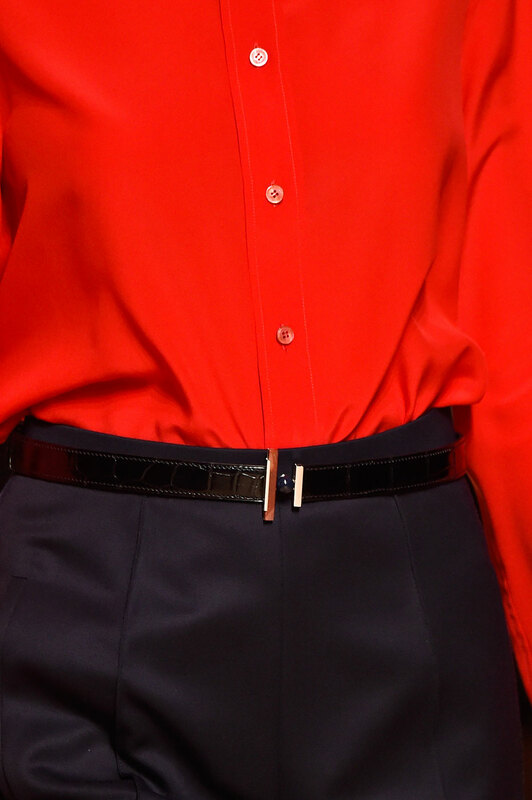 After holding lead design positions at The Row and Céline she has developed an aesthetic that works for the elegant, artisan, but gently conceptual world that is Hermès. 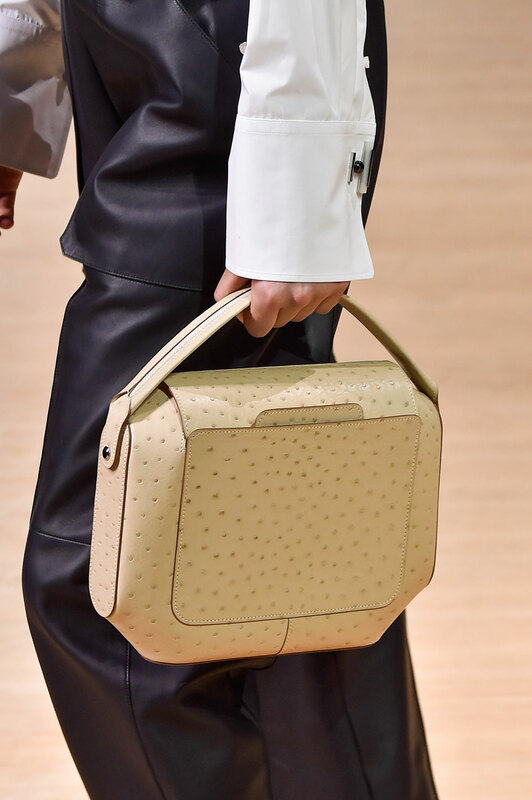 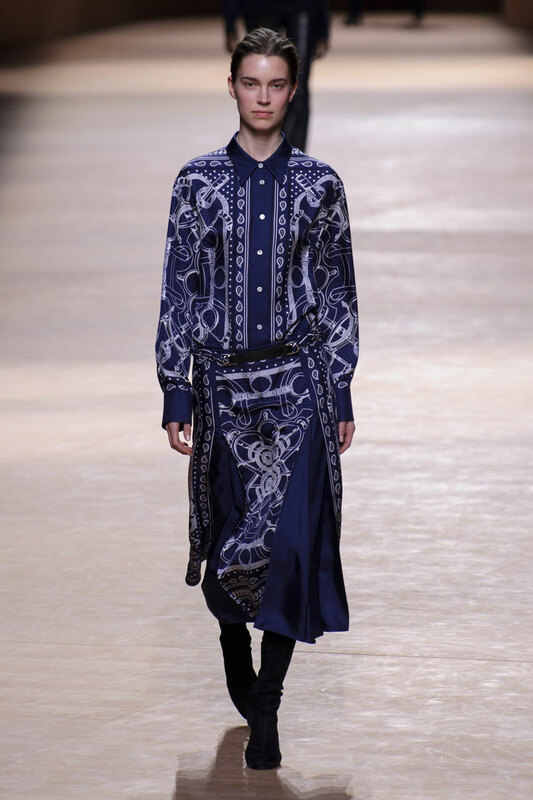 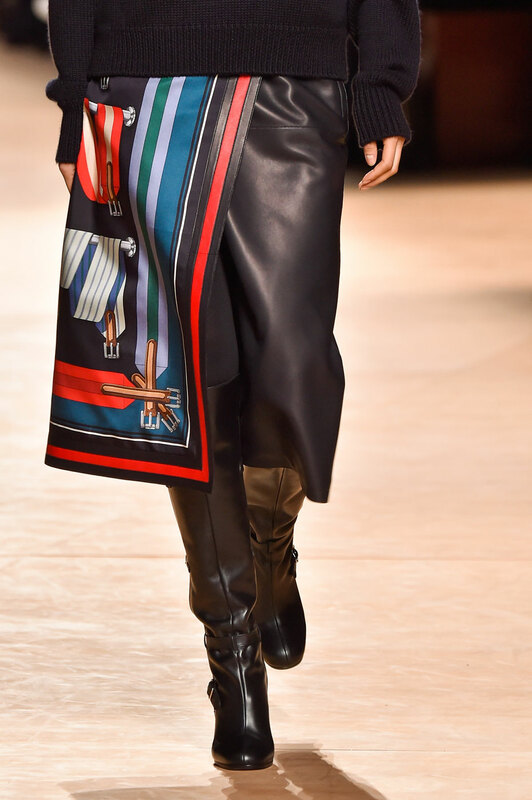 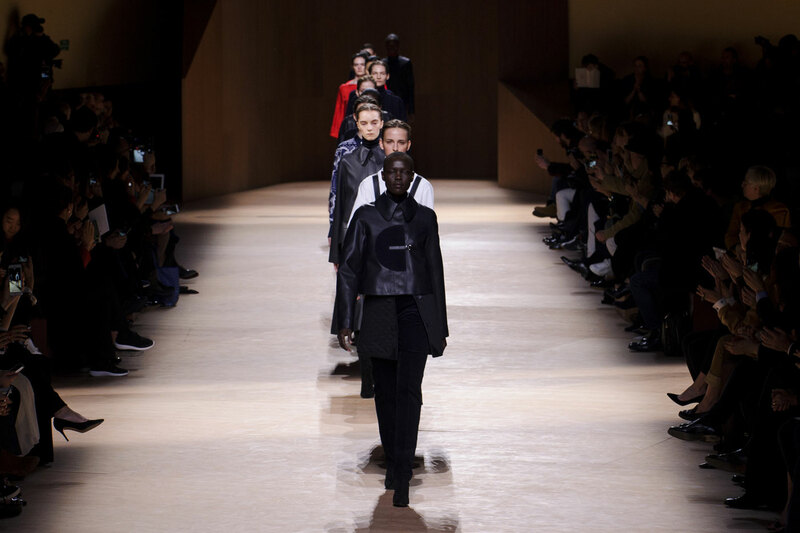 The epitome of understated and slightly androgynous luxury; there was plenty of leather, scarf prints, sunny knit separates and other Hermès signatures. 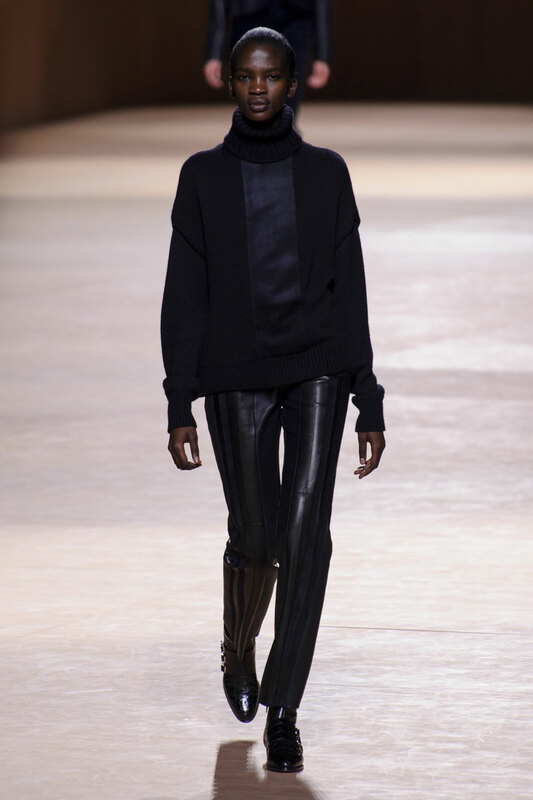 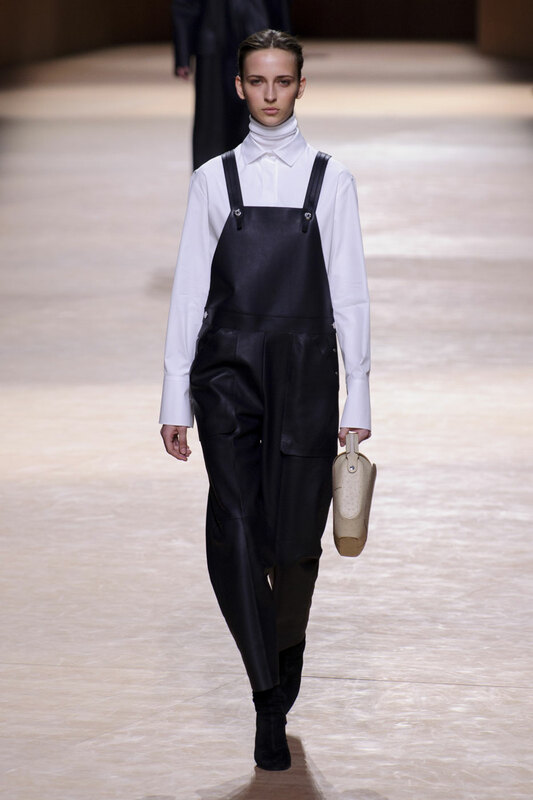 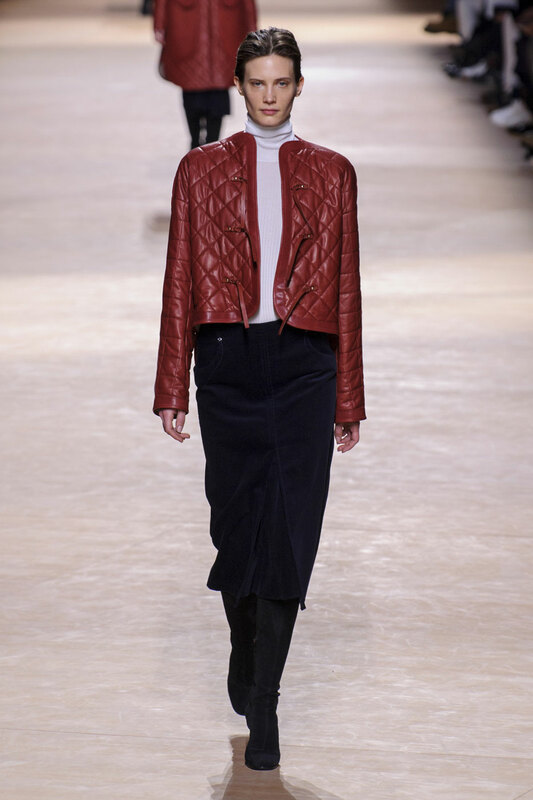 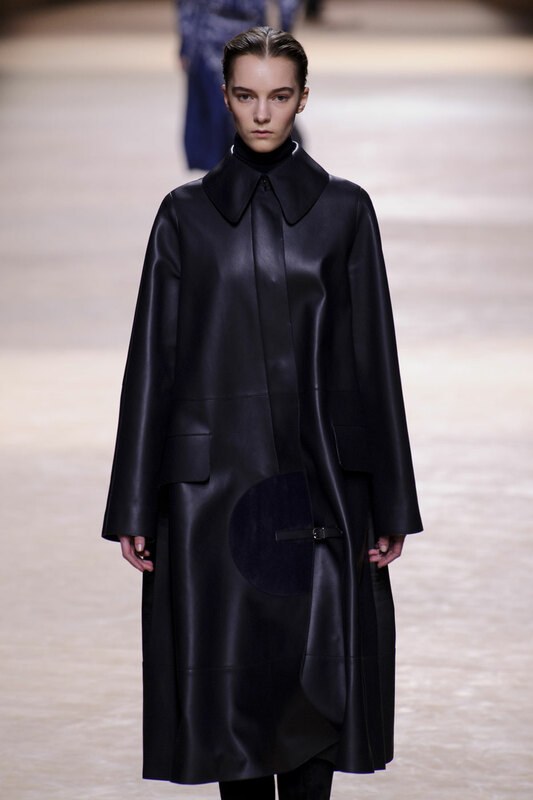 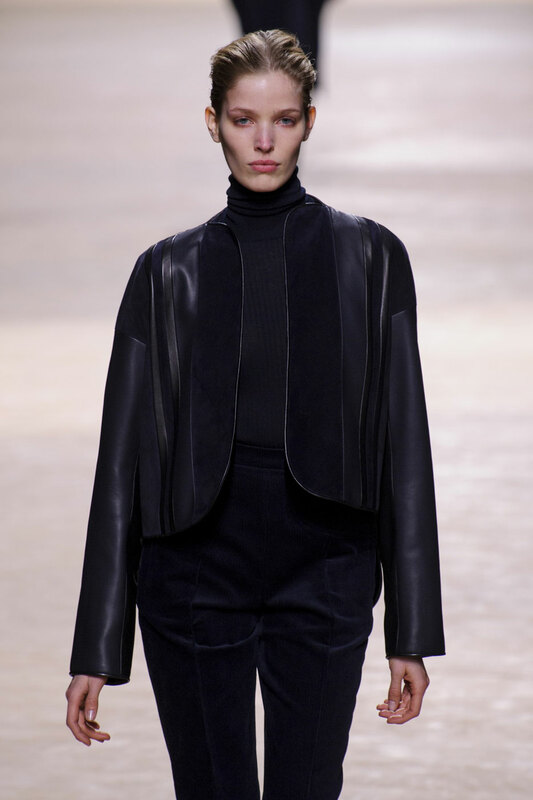 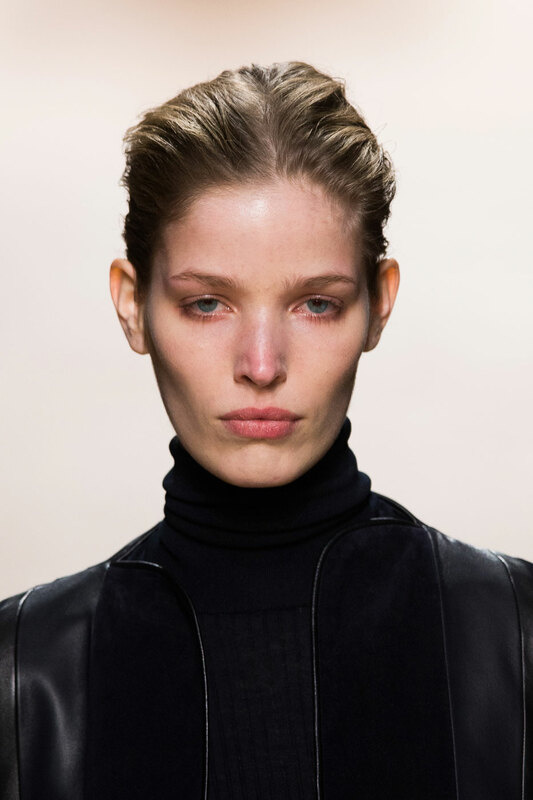 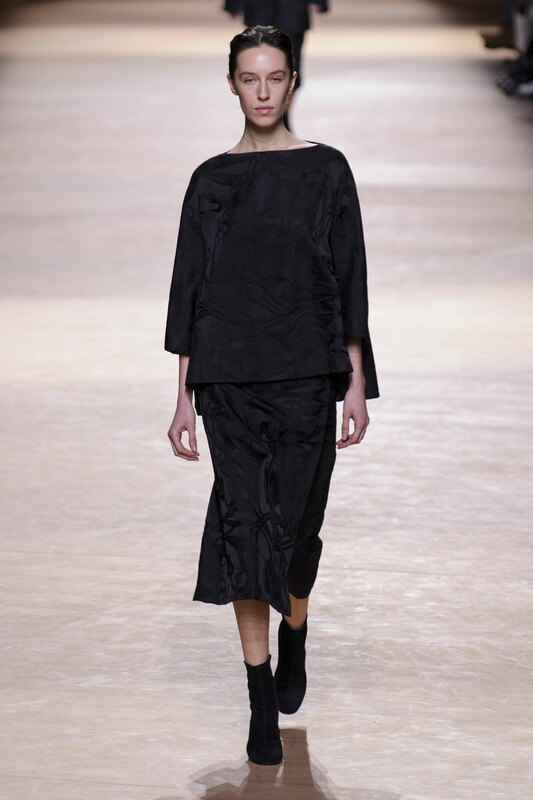 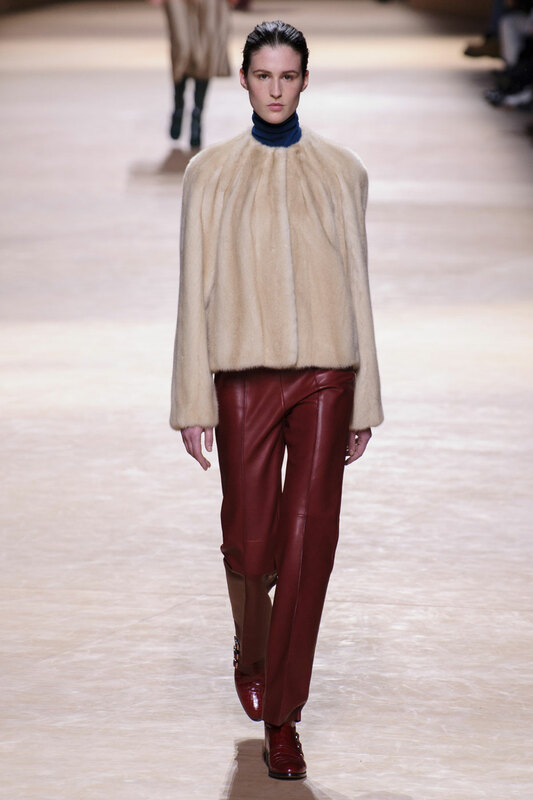 The show opened with oversized leather looks, a slightly cropped leather jacket, overalls layered over a white shirt and turtle neck and a long A-line jacket hitting below the knee. 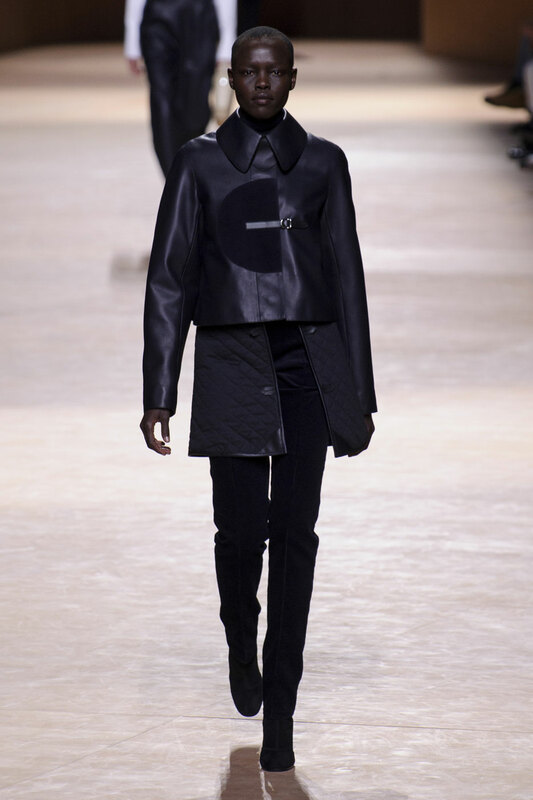 Silhouettes were kept simple. 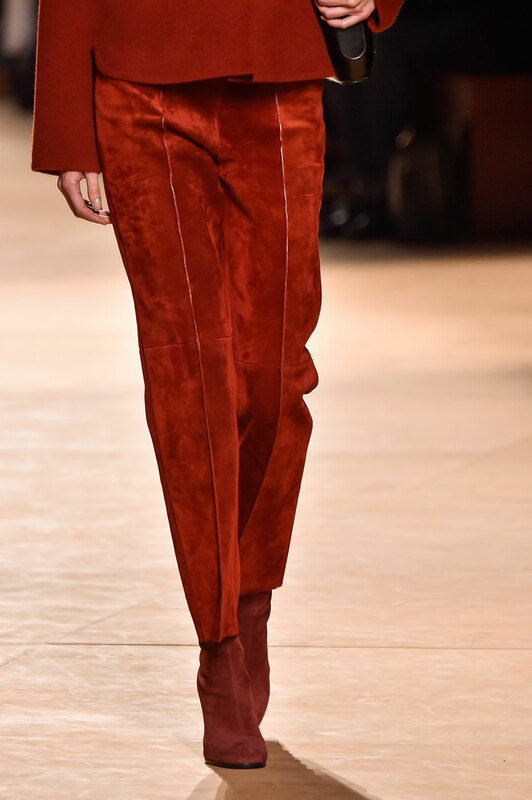 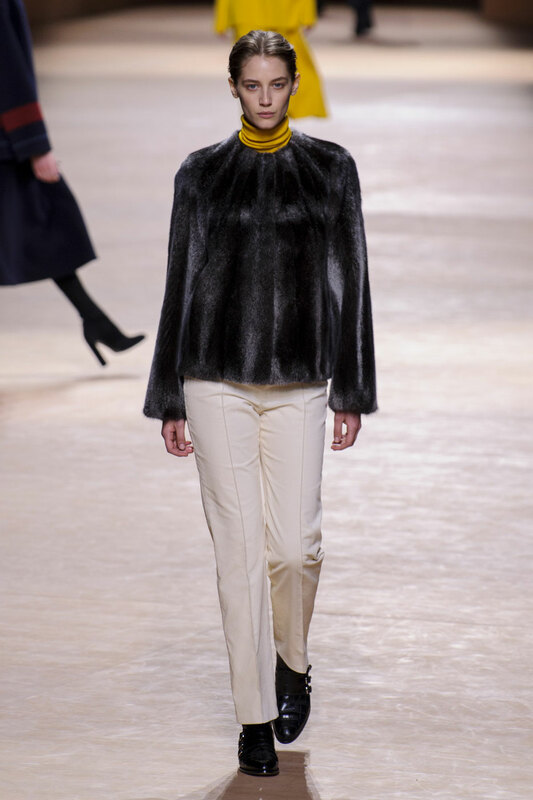 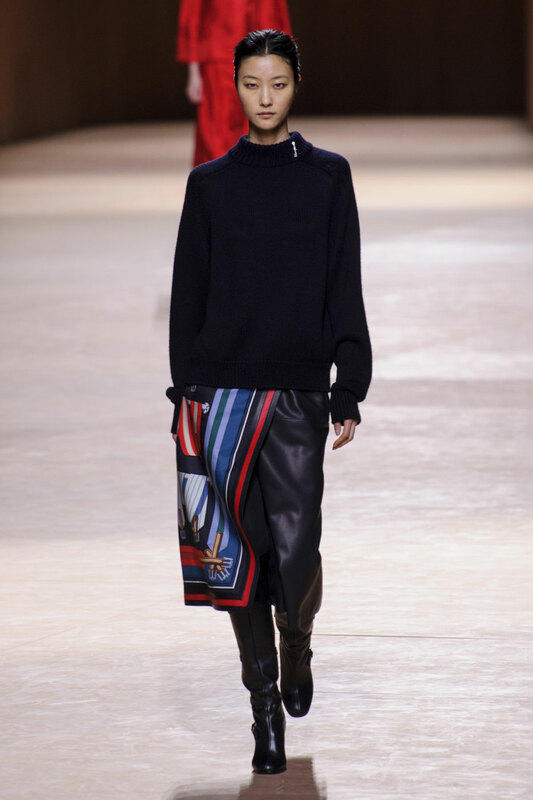 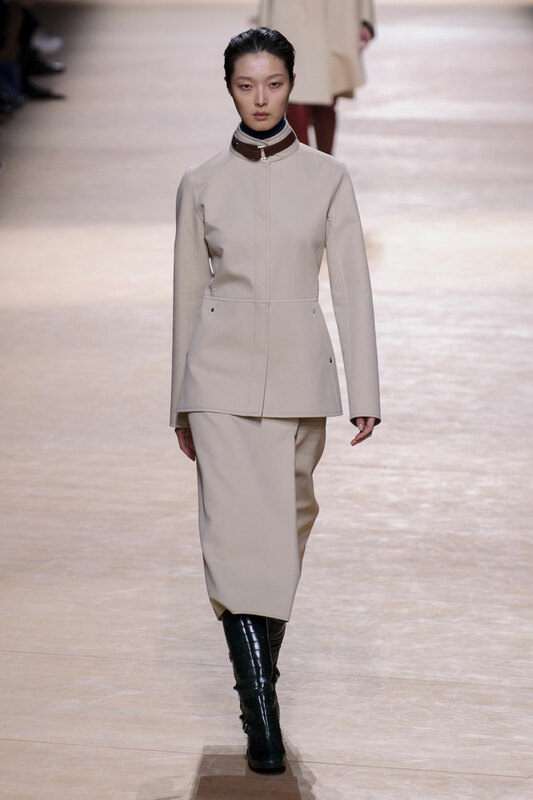 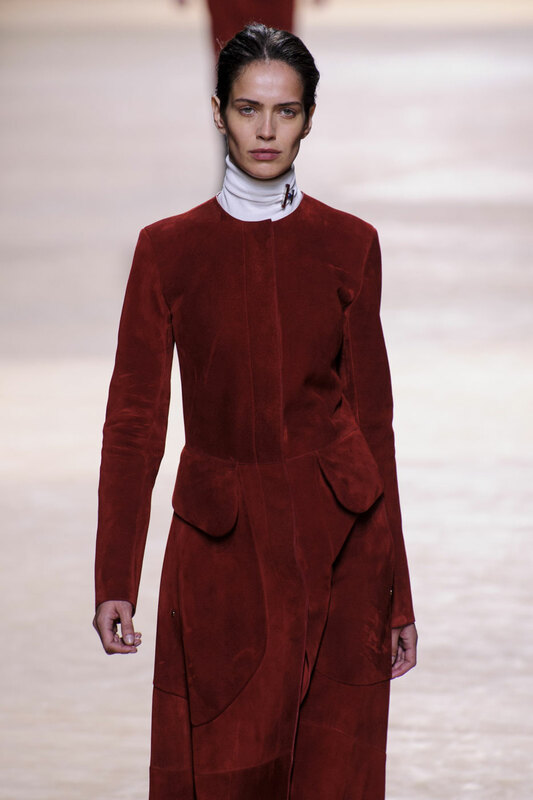 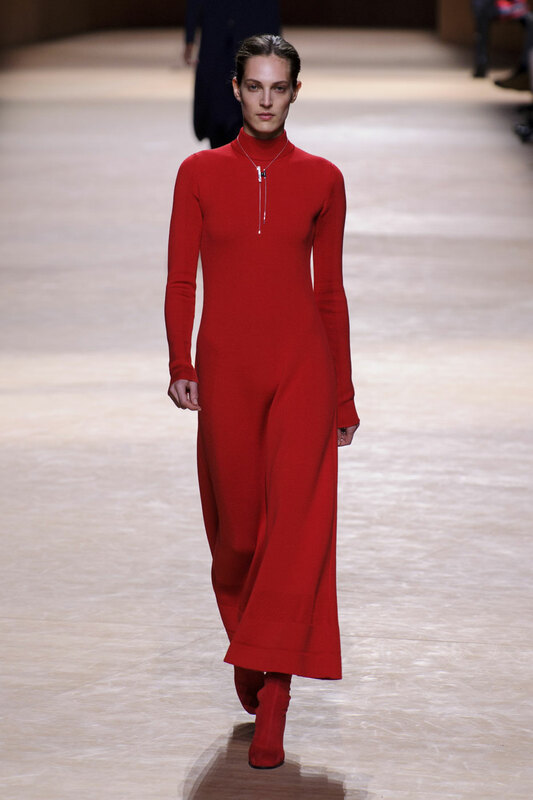 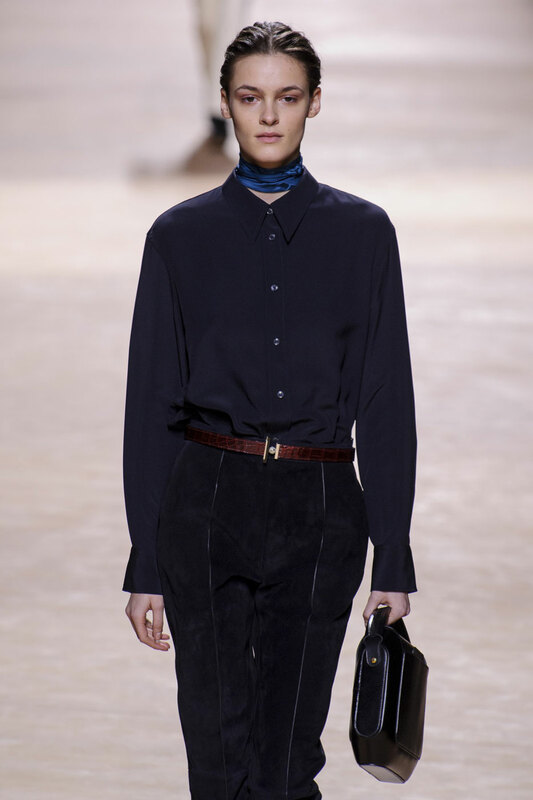 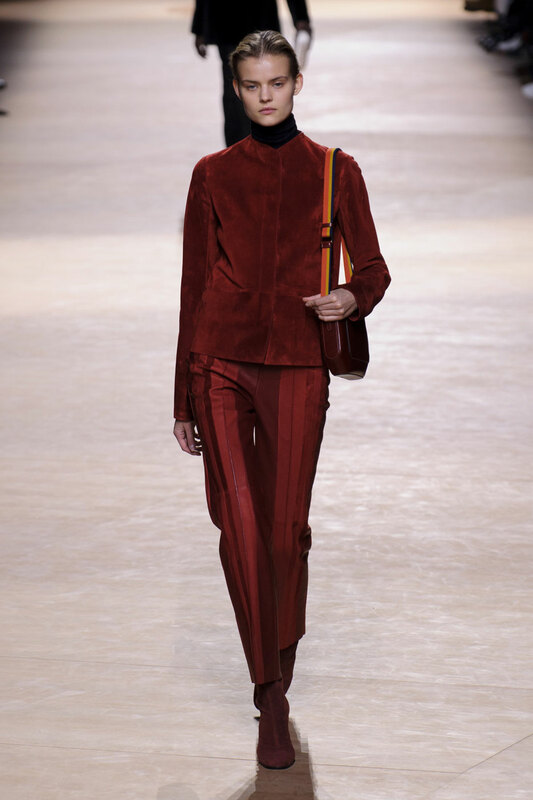 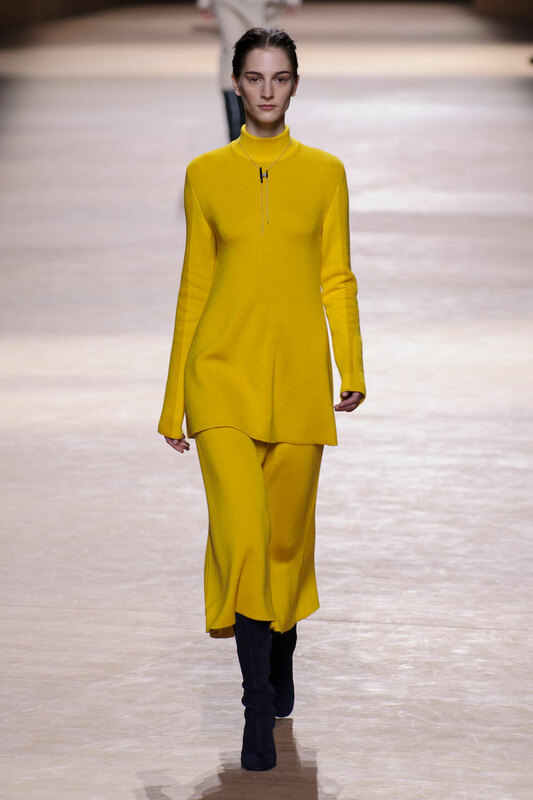 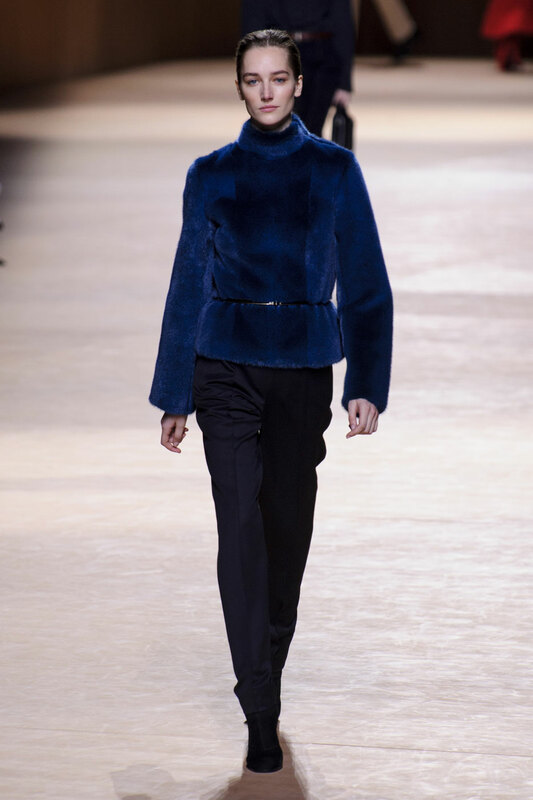 Tailored trousers and wide leg culottes were in full force, balancing the bigger silhouettes on top; below the knee skirts with over the knee boots were also key to the AW15 Hermès aesthetic. 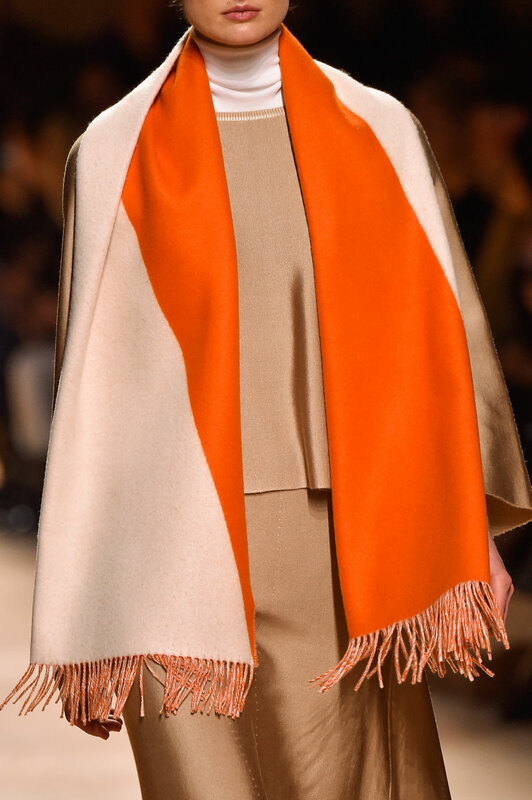 Vanhee-Cybulski injected colour to the Hermès classics. 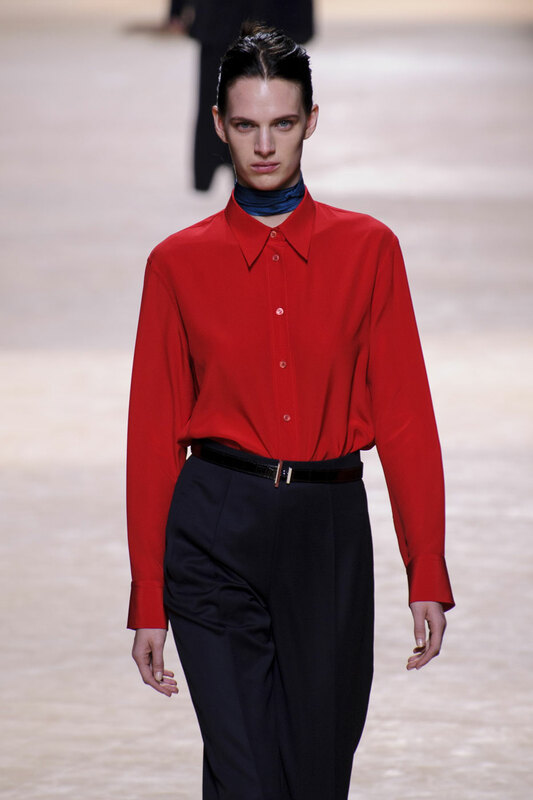 Red featured heavily in the predominately muted palette of navy, black and cream, with flashes of teal, orange and yellow lifting the darker tones. 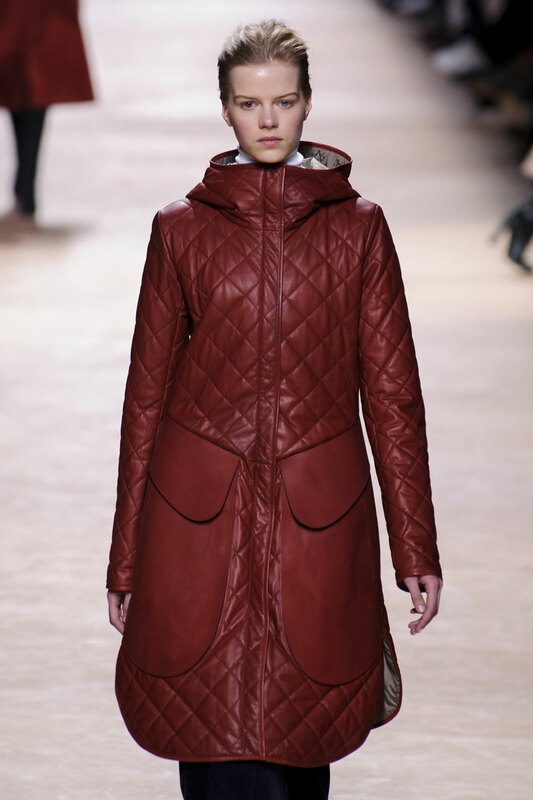 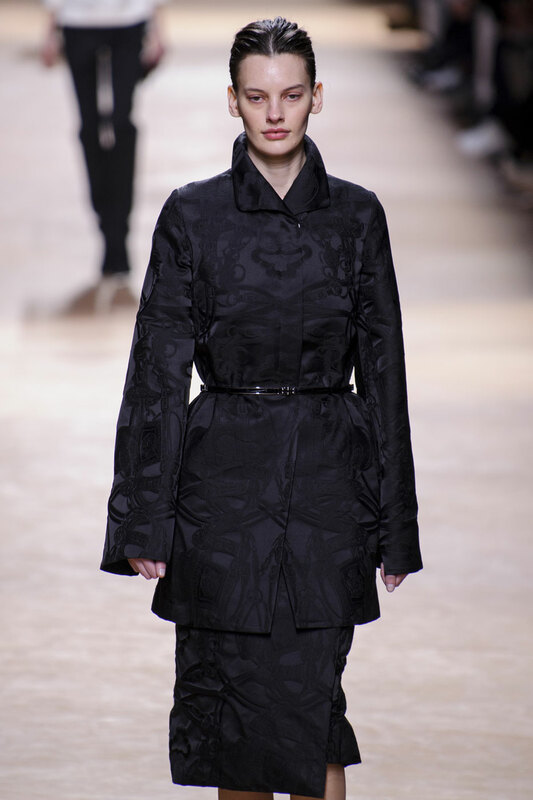 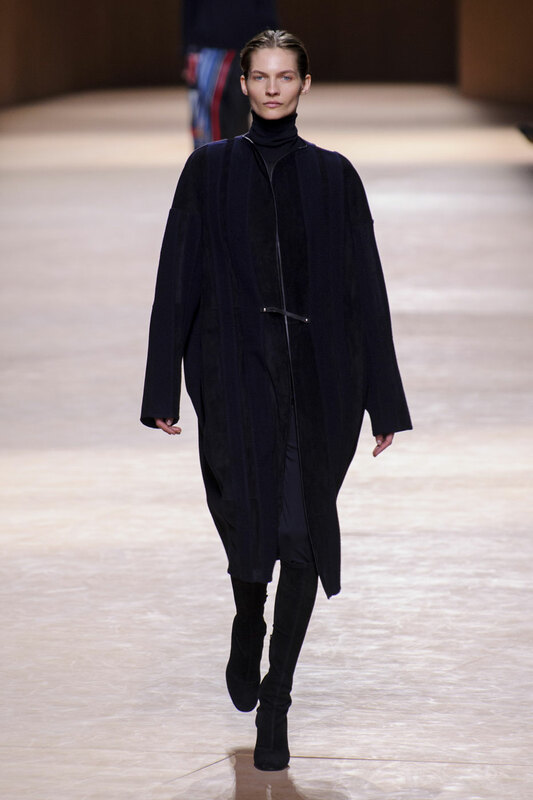 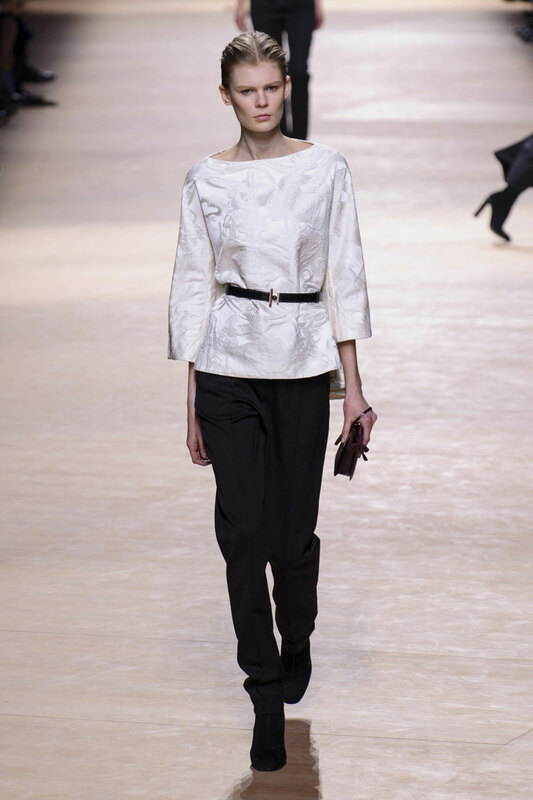 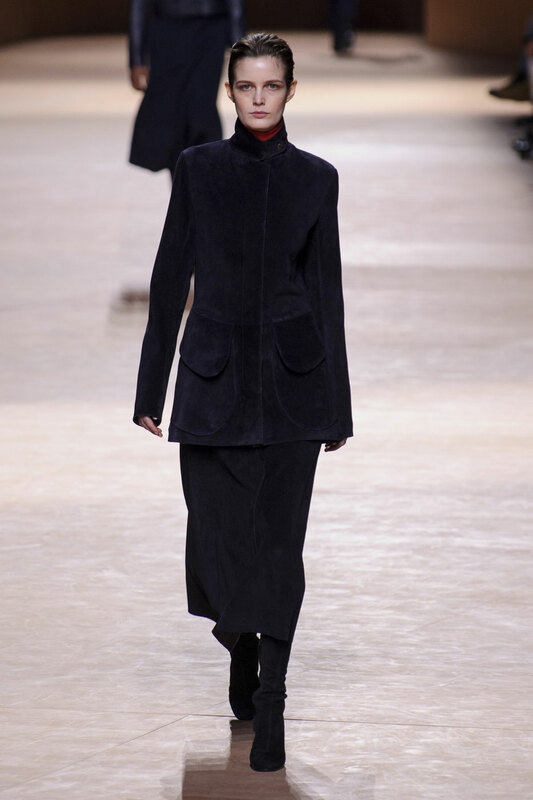 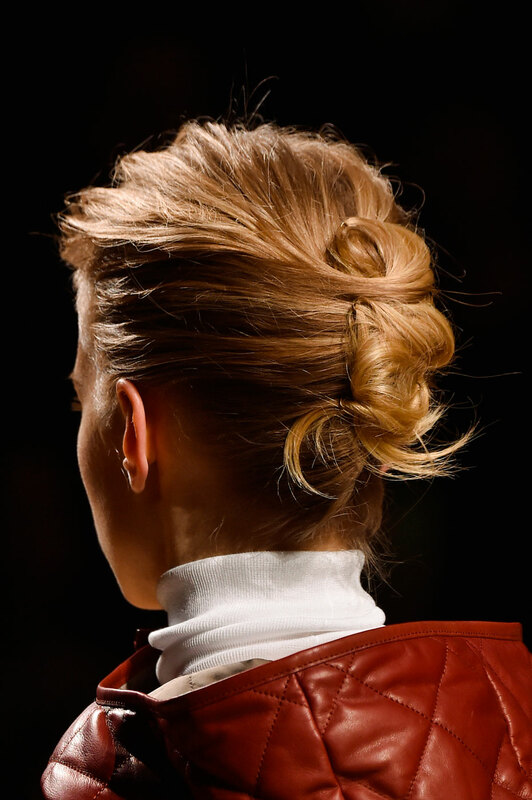 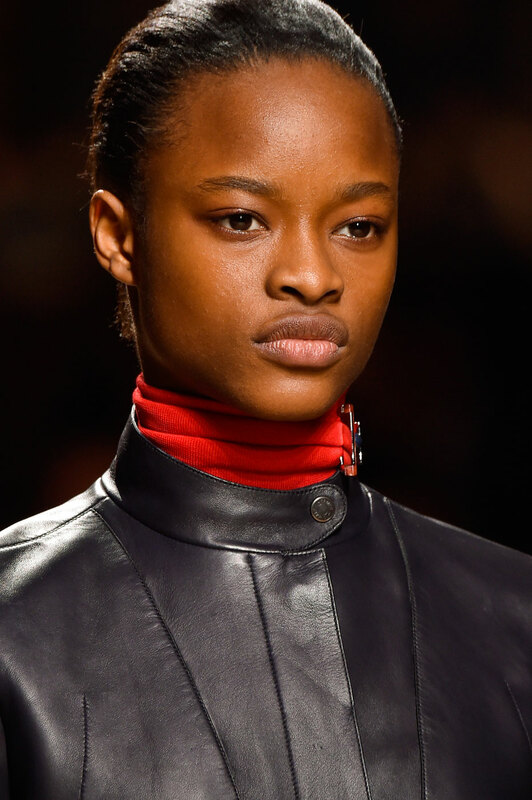 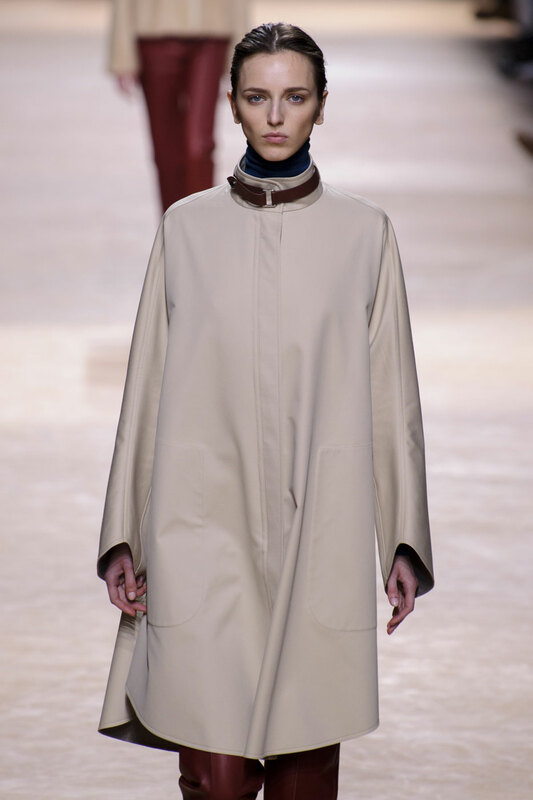 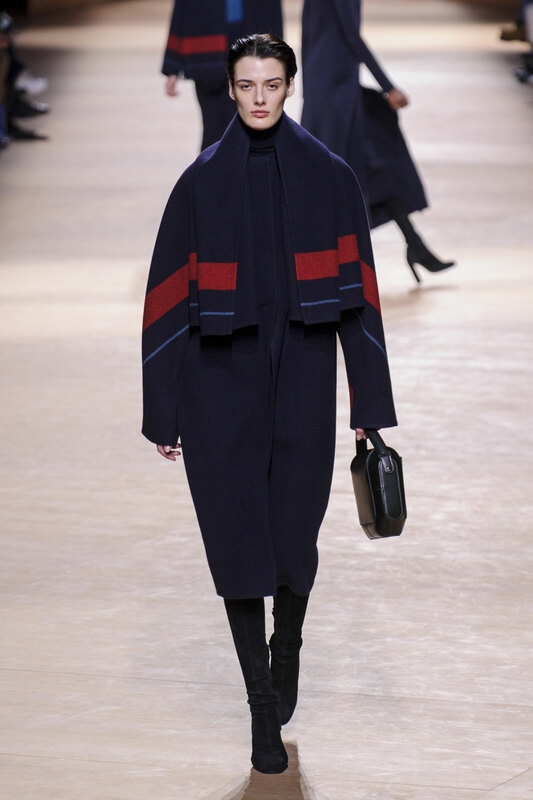 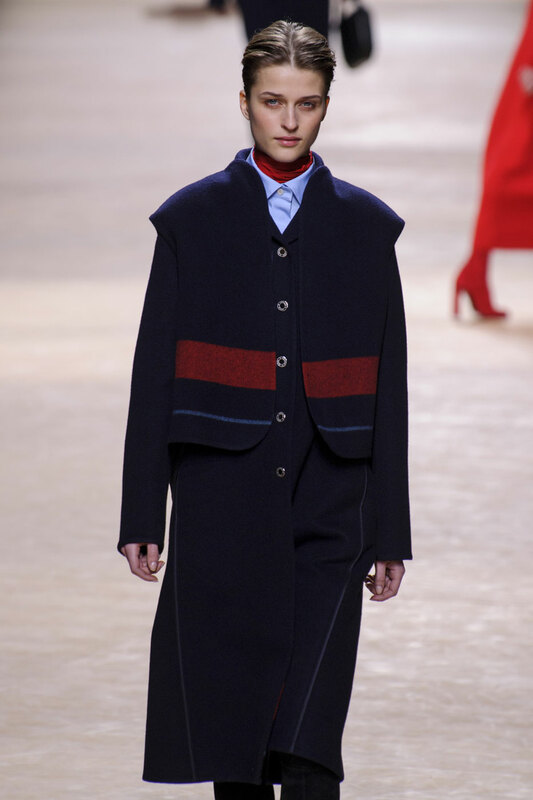 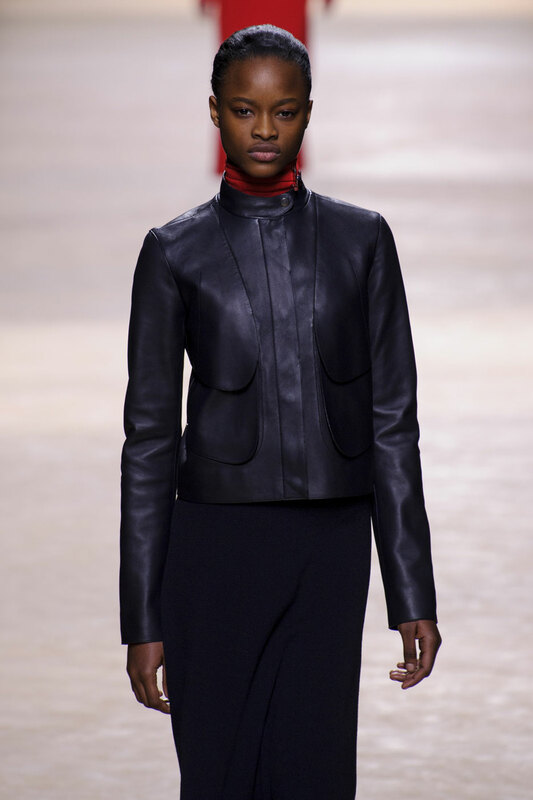 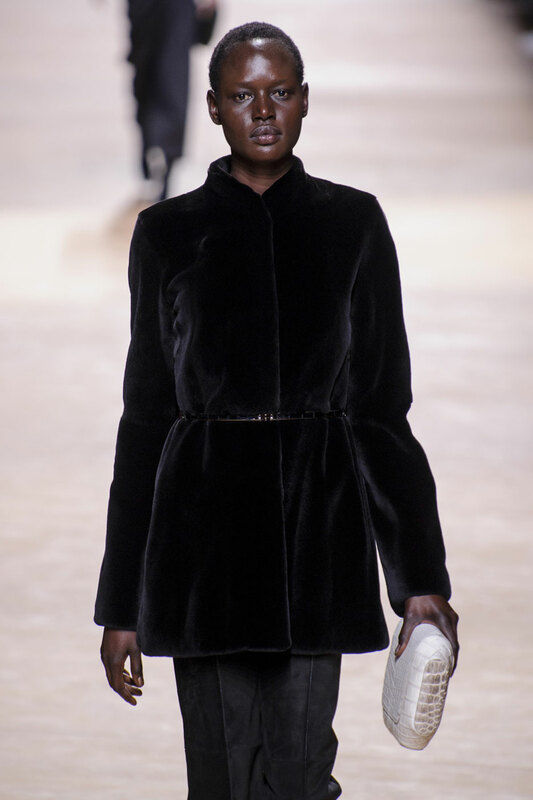 Oversized collars and pockets were featured on the leather looks and long jackets in quilting and scarf-like over coats. 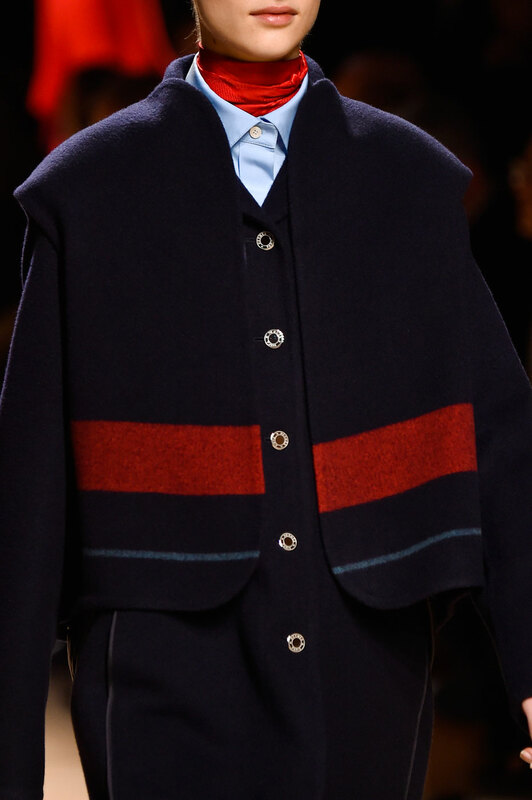 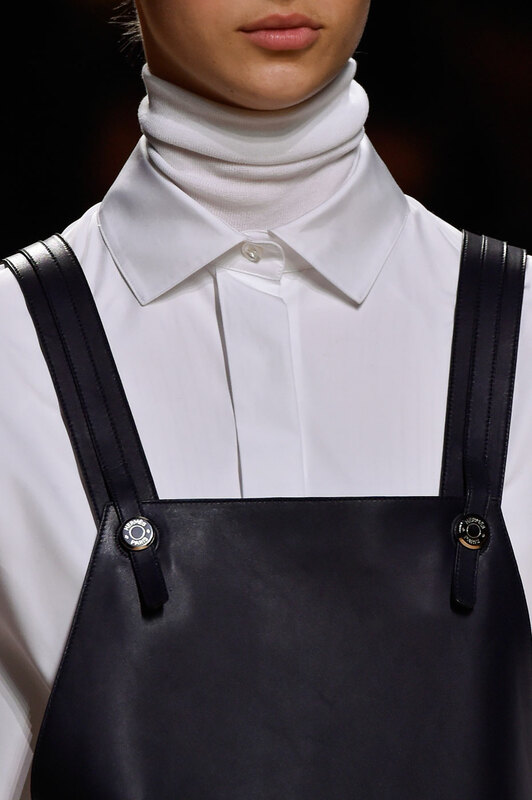 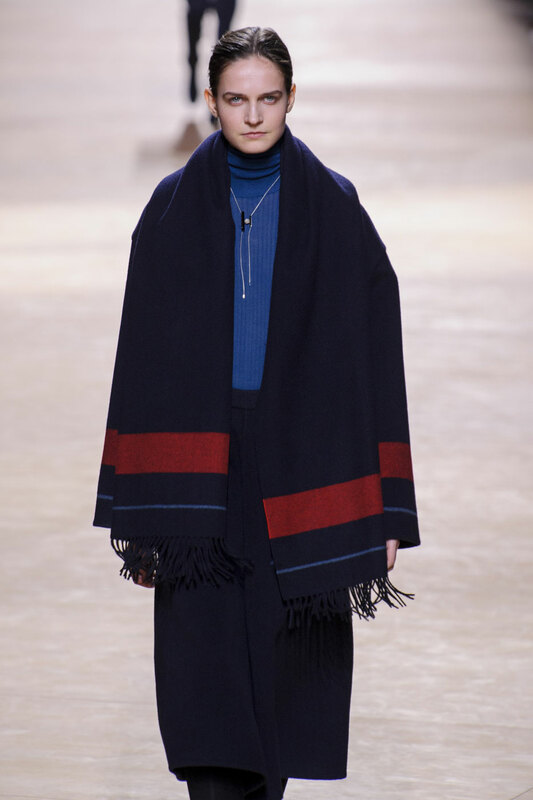 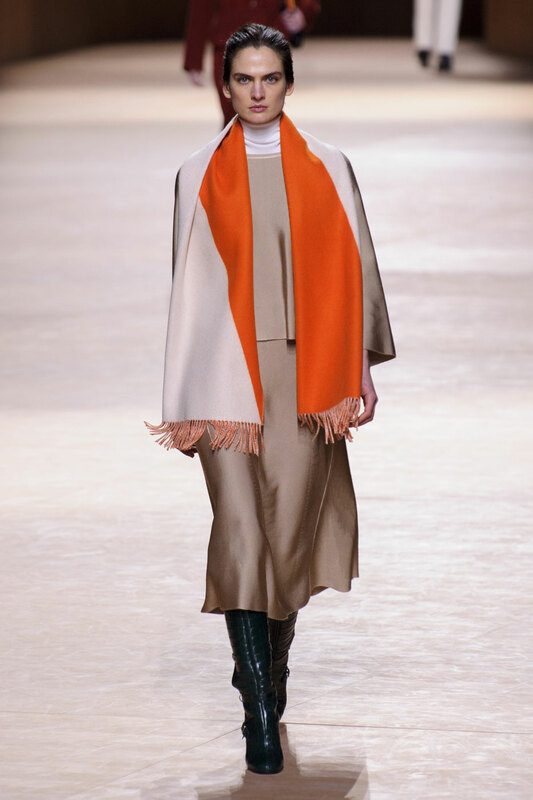 Thin scarfs wrapped around necks gave an equestrian feel, a nod to the brand’s renowned logo. 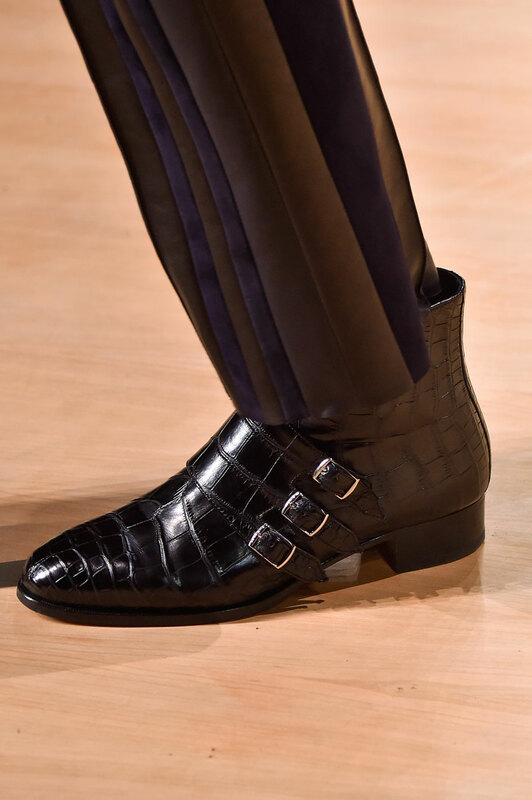 Looks were accessorised with octagonal shaped bags, abstracted pins in the form of the letter ‘H’ worn on lapels and collars, statement necklaces layered over simple high neck tops, and crocodile skin detailed footwear with strapped buckles. 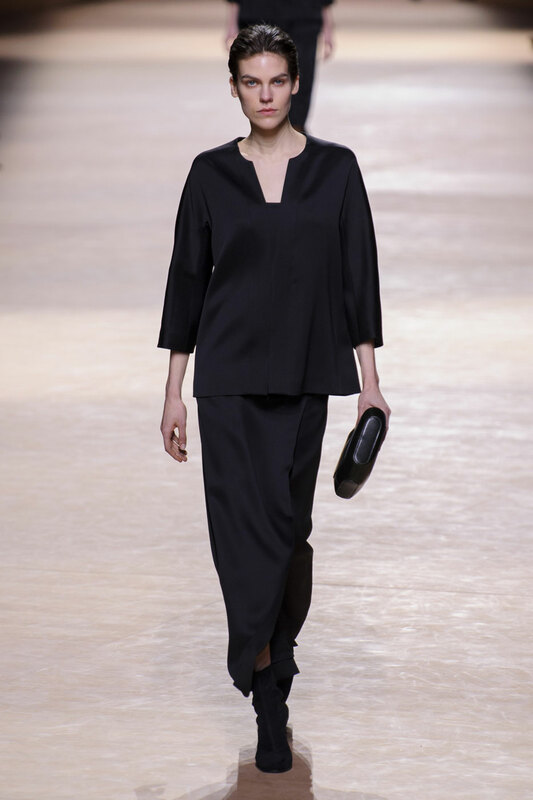 With the return of a French woman to the French house she bought a sense of refined, understated elegance with her.